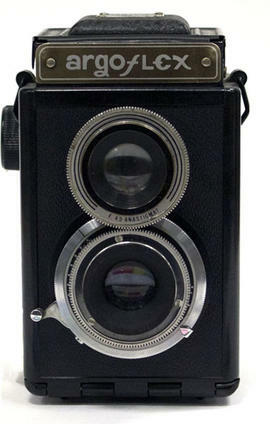 Item is a metal twin lens reflex camera for 2 1/4" x 2 1/4" exposures on 620 format roll film. Coupled front lens focusing. sub-series contains publications produced by the Eastman Kodak Company detailing the Kodak products available and their pricing. Includes cameras, accessories, film, and photographic paper. Set of 5 Lantern Slides used for teaching purposes. Manufactured for the Ontario Government Picture Bureau. Item is a folding wooden tripod. 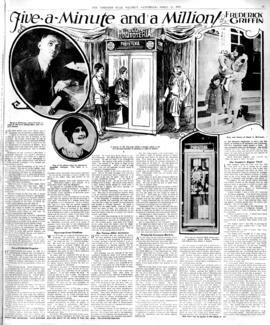 Item is an article about the Phototeria, written by Frederick Griffin and published in the Toronto Star Weekly on April 14th, 1928. Items contains 13 digital images of the Phototeria with Bruce McCowan and students during a visit to the W.A. Porter Collegiate Institute.